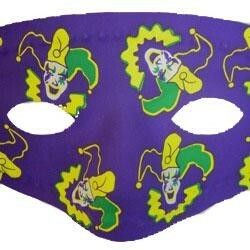 A 6.5 inch x 3.5 inch purple with jesters Mardi Gras half mask. 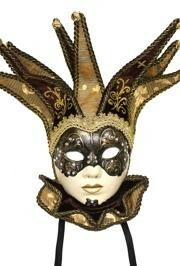 This is perfect for parties, parades, craft projects, and much more. 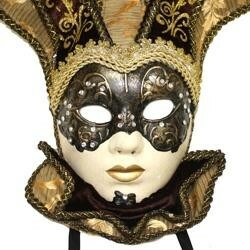 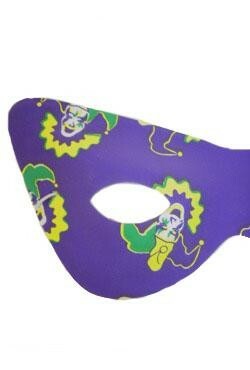 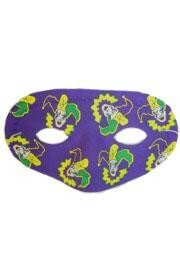 A 7.5 inch x 3 inch purple with jesters Mardi Gras cat eye mask. 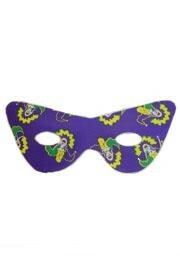 This is perfect for parties, parades, craft projects, and much more.